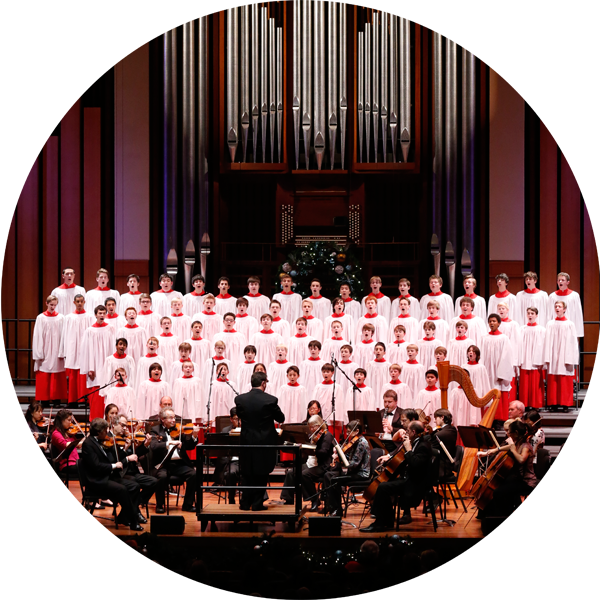 "The Northwest Boychoir sang with miraculously pure intonation and impressive diction." 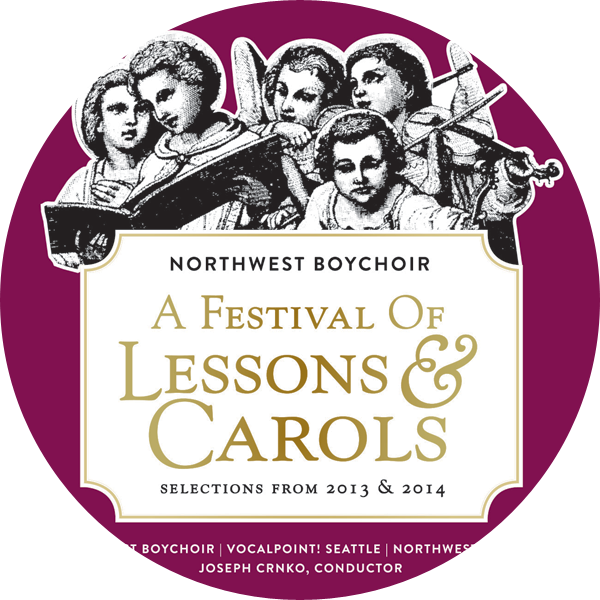 The Boychoir, directed for the past 30 years by Joseph Crnko, has become a beloved Northwest fixture, partly through its many annual performances of the Christmas 'Festival of Lessons and Carols'. On Friday evening, the Boychoir responded to Cleobury’s baton with singing of exceptional clarity and balance, imposing unity, precise diction and a soaring lyricism that equaled the boys on the other side of the Atlantic. For many music lovers, it wouldn’t be Christmas without the (Northwest Boychoir) 90-minute traditional English program (traditional in Seattle, too). I was delighted to work again with the Northwest Boychoir during my recent visit to Seattle. Impressive were the thoroughness of the musical preparation they had received from Jospeh Crnko, their disciplined demeanour on and off stage, and the dedication and enthusiasm with which they approached their work. The Boychoir is a great ambassador for music in Seattle. The quality of the singing is up to the standards of the best English cathedral choirs, not a random observation as the tone is very similar: clear and pure. As a conductor, I feel so fortunate that we have such an ensemble right here in Seattle. Northwest Boychoir was such a joy to collaborate with during our performances of Britten’s 'War Requiem', and I look forward to working with them again and again. Working with the Northwest Boychoir was a great experience. When those boys were added in that night – it just changed the entire piece for me. I was in awe of their sound. Clearly, for me, this score would have not been as strong without them. They are a superb ensemble; wonderfully trained by their extremely gifted music director, Joseph Crnko. I actually go out of my way to try to find works that incorporate a boys choir so that I can work with these talented young men and they always have all of my support. There is a reason for that popularity: The group (Northwest Boychoir) is astonishingly good. The Northwest Boychoir has affected my life an incredible amount, not only because of its world-class musicality, but also because of the amazing friendships I have made and the life morals I have learned from my teachers and mentors at choir. 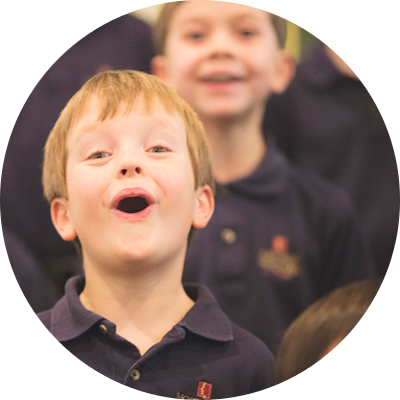 Our mission is to provide the highest level of music education and vocal performance opportunity to the boys, and young men and women of the Seattle region, and to provide the local community with a unique choral resource. Join in the Serious Fun! 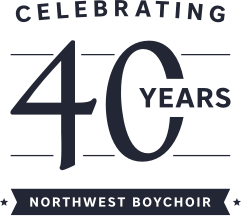 Boys ages 6-9 are invited to audition for the Northwest Boychoir. Contact us to schedule an audition appointment. Check out our upcoming shows and events, including A Festival of Lessons & Carols! 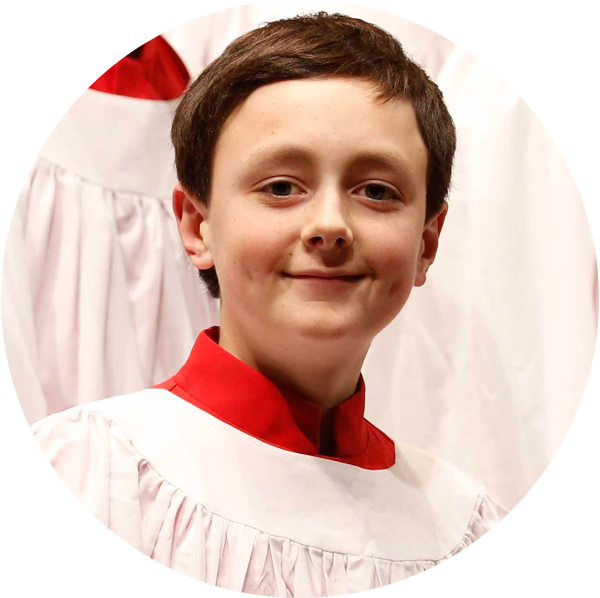 Listen to your favorite Northwest Boychoir performances again and again! Recordings are available for purchase in our online store. Throughout the year we rely on supporters like you not only to present our much-loved concerts, but also to help close the gap between tuition costs and the annual budget, so that we can continue to serve 200 talented and committed young singers. Your gift will make a difference!